What has been the most significant Supreme Court case to date and why? As his Supreme Court audition, Lord Reed could not have asked for better than Axa General Insurance Ltd & Ors v Lord Advocate & Ors (Scotland)  UKSC 46, the first challenge to the Scottish Parliament’s legislative competence to reach the Court since it succeeded the JCPC as devolution’s final arbiter. As a study in Scots public law, Axa has everything: constitutional vires, sovereignty, convention rights, common law review, third party interventions, public interest access rights and an array of characters including fifteen counsel, the UK’s largest insurers, multiple governments and eminently sympathetic ‘ordinary people’. Consequently this is not only from a Scottish perspective the Court’s most significant judgement to date. The saga begins with the judgement in Rothmann ( UKHL 39), that insurers had no liability towards claimants who through workplace exposure to asbestos had developed pleural plaques, a form of lung scarring which indicate a predisposition to mesothelioma but are not themselves harmful. Insurers counted savings in the billions. 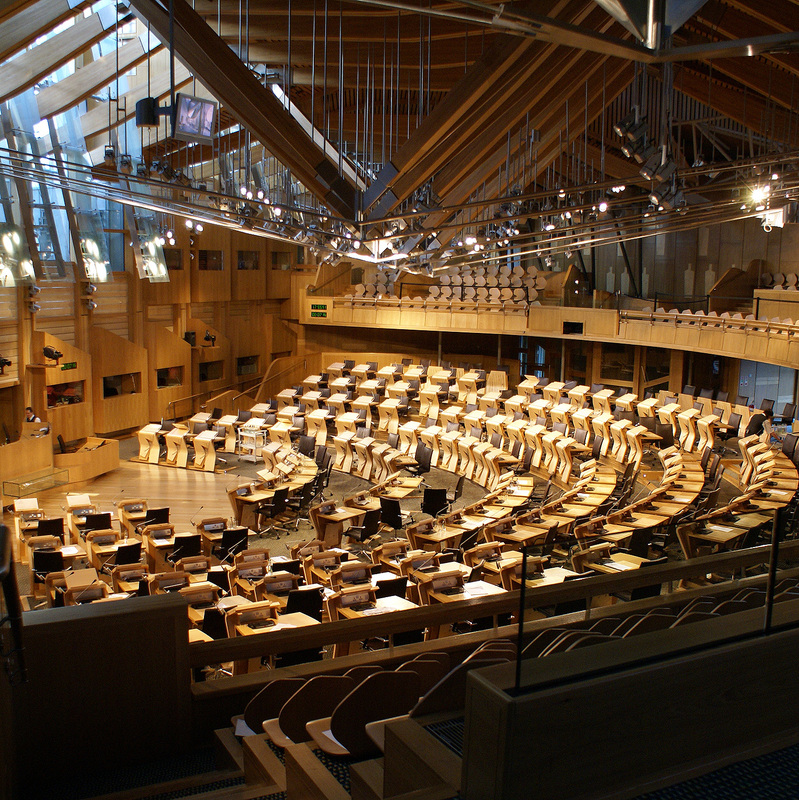 Enter the Scottish Parliament to controversially enact the Damages (Asbestos-related Conditions) (Scotland) Act 2009 overturning the effect of Rothmann in Scotland. Cue legal challenge. In Scottish courts the legislation was upheld, but one final appeal would resolve issues of constitutional law which had existed since 1998, and issues of administrative law which had existed since long before that. The courtroom contained five insurers, the Scottish and UK governments (as first and second respondents), eight pleural plaque claimants (respondents three through ten), Friends of the Earth Scotland and the First Minister for Wales (intervening for the respondents) and two branches of the Northern Irish executive intervening on different sides. The scene was set for a judgement of unparalleled significance, duly provided. The insurers firstly argued that the legislation breached their Article 1 Protocol 1 property rights contrary to s.29(2)(d) of the Scotland Act, by rendering their money liable to expropriation by claimants. The Court recognised this as an A1P1 claim and the insurers as victims under Article 34, but nonetheless held that the Act pursued, proportionately, a legitimate aim of addressing what the Scottish Parliament had determined to be a social injustice. The Court was unconvinced by points about retroactivity, as no insurer had demonstrated reliance on Rothmann. The second ground of challenge lay in the contention that the legislation was an irrational exercise of legislative authority, and thus unlawful at common law. Adams (2003 SLT 366) had indicated that such common law review was incompetent, yet was never appealed and had never seemed definitive. At first instance in Axa it was held that, like any statutory body, the Scottish Parliament could be reviewed on common law grounds. It would finally fall to the Supreme Court to decide the issue. Thanks to submissions on behalf of the Lord Advocate, the Court was also invited, as in Jackson ( UKHL 56) to update the theoretical circumstances in which the ‘sovereign’ UK Parliament could be similarly challenged. Seizing this opportunity, Lord Hope endorsed his position in Jackson that the rule of law, and not parliamentary sovereignty, was the peremptory principle of UK constitutional law. There is undoubtedly potential for more litigation here. In the end however the Supreme Court restrained itself to the issue at hand, agreeing that it was for the elected and accountable Scottish Parliament, rather than for judges, to decide what constituted rational social policy. The scope of judicial intervention was thus restricted to defending the rule of law and upholding the – constitutive – Scotland Act. The remaining issue regarded the long-standing Scots concept of ‘title and interest’, requiring petitioners, and (as here) those asking to be joined as respondents, to have a private (often financial) interest in the litigation. Friends of the Earth intervened in support of the access of potential claimants under the 2009 Act, arguing successfully that rules of standing should allow representative organisations to take forward litigation in the public interest. Thus Axa has the potential to revolutionise Scots public law by recognising that public acts concern the public at large, and that we all have an interest in ensuring that public bodies obey the law. For its impact on long-standing uncertainties, Axa is significant enough. A century-old test of standing has been put to bed, to the delight of pressure groups. It is finally clear that the Scottish Parliament enjoys similar deference to Westminster regarding social policy. Diceyan concepts of parliamentary sovereignty have again been challenged. Yet its greatest significance, elevating it above other judgements, lies in its potential. Imagine that the Scottish and UK governments cannot reach agreement on an independence referendum, and the former legislates anyway. Whilst realpolitik might have dictated that the UK government would not seek to litigate the issue, Axa is a game-changer: without (and possibly with) additional legislative power from Westminster, any referendum is now open to challenge by potentially any interested party. This, with myriad other public policy issues, may now end up being decided by the Courts. Or imagine that the UK government decides to replace the Human Rights Act. 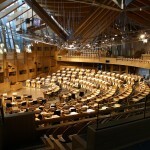 Himsworth has argued that the Sewell Convention would necessitate legislative consent from the Scottish Parliament, likely to be refused. Other candidates for conflict include welfare reform and the Scotland Bill. We are accustomed to constitutional conventions being unenforceable in court, but Sewell – the first created deliberately as complementary to a statute – has never been litigated. Now Axa tells us that the Scottish Parliament, thanks to its democratic legitimacy, enjoys similar deference to Westminster. Only since Axa do we face the possibility of two sovereign parliaments in conflict. And, thanks to its confirmation of Jackson, Axa also affirms that the Courts, not Westminster, will be the final arbiter. For the potential it has to dramatically extend the role of courts in Scottish political life, and the role of the Supreme Court in the political constitution of the United Kingdom, Axa is the most significant Supreme Court case to date. I have no idea what you mean by game changer? A bit overpowering but I cannot see how social policy would enable the UK sovereignty to move to the edge – thus becoming just an element of friction between England and Scotland? Leave a reply on "What has been the most significant Supreme Court case to date and why?"